Welcome to the UCLA Division of Geriatrics Website! 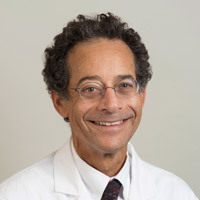 I'm Dr. David Reuben, the Chief of Geriatric Medicine at UCLA and the Director of the Multicampus Program in Geriatric Medicine and Gerontology (MPGMG). Since its inception in 1979, the UCLA Multicampus Program in Geriatric Medicine and Gerontology (MPGMG) has been recognized as a national leader in providing clinical care for older persons, teaching physicians and other health professionals how to better care for older persons, and conducting research aimed at improving the health and independence of older persons. In addition, these core sites have community-based, nursing home, and home care programs, which extend the clinical and teaching missions of the MPGMG beyond the academic medical center. The research and educational missions of the MPGMG also link the Program to other schools and departments on the UCLA campus as well as its affiliated institutions. The demographic imperative to focus on aging is stronger than ever. As more of our population ages, it's vital to develop strategies that effectively ensure an outstanding quality of life and superior medical attention when necessary. Since 1990, Ronald Reagan UCLA Medical Center has consistently been ranked among the top three hospitals in the United States for geriatrics by U.S. News & World Report. Under the leadership of David Reuben, M.D., the Archstone Foundation Endowed Chair in Geriatrics, and Brandon Koretz, M.D., M.B.A., Carol and James Collins Endowed Chair in Geriatric Medicine, the UCLA Division of Geriatrics continues to thrive. The division, which includes 27 faculty members who are all world leaders in aging, pursues research aimed at improving the overall health of people as they age and focuses on the clinical epidemiology, diagnosis, and treatment of diseases of older persons; health services delivery; the physiology of age-related changes; and the basic cellular and molecular biology of aging. Below you can find more information on the three main branches of UCLA Geriatrics: Clinical Care, Research, and Education. The UCLA Division of Geriatrics is a national leader in education and training in geriatrics and gerontology, and can be found at UCLA in disciplines such as medicine, nursing, dentistry, social welfare, public health and psychology, among others. Providing advanced education to all levels of students, residents, fellows, faculty and our community is a top priority and we work diligently to create an educational environment that will allow our interested visitors to learn in any number of ways and venues.